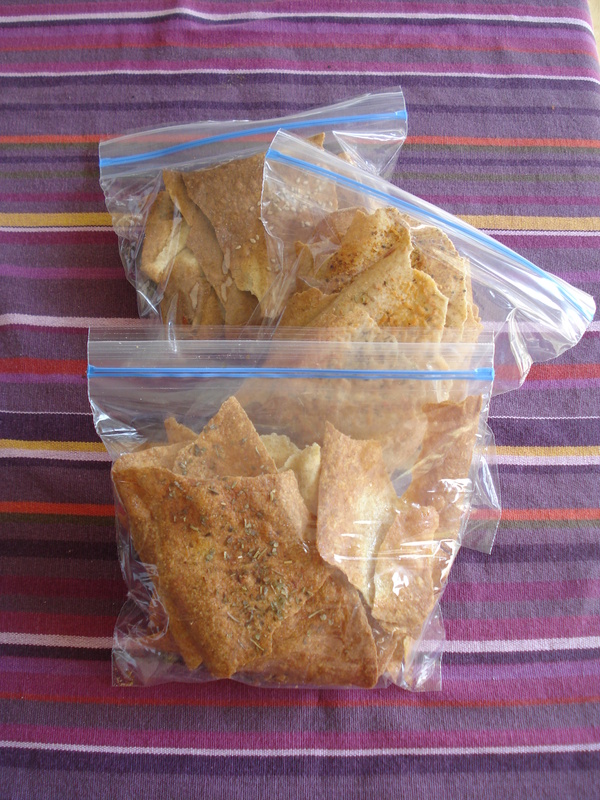 Yesterday I made homemade crackers from this recipe. These are far better than storebought and easy too! 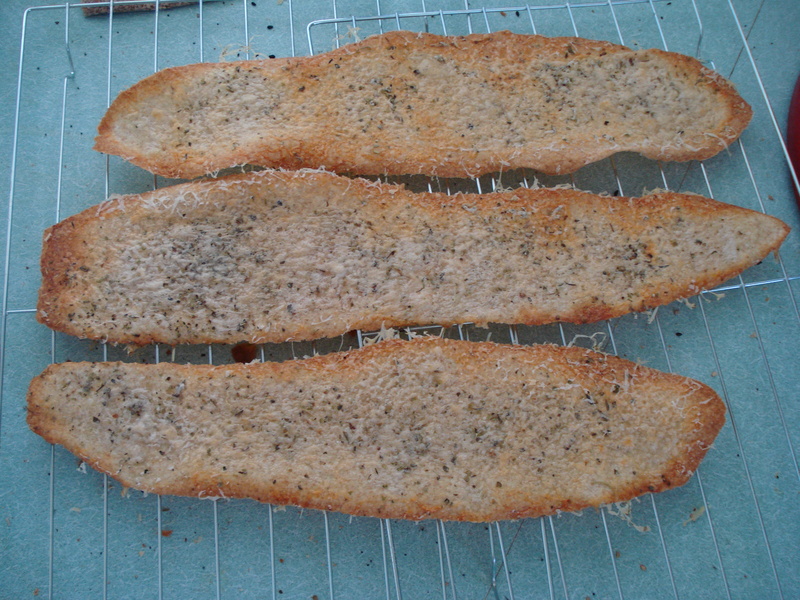 I made 9 of these long crackers, and seasoned each batch differently! Then put them in baggies and froze a bunch of dough for later. 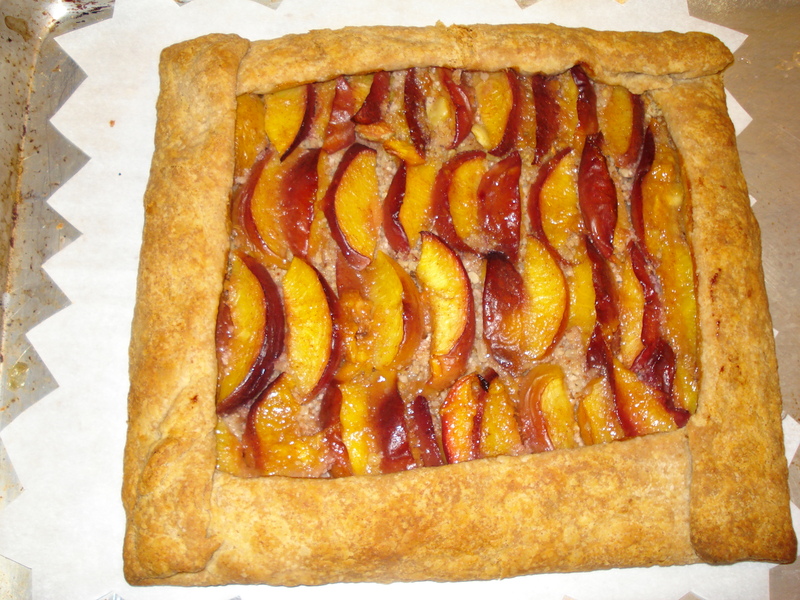 Then I made a nectarine galette, roughly following this recipe, but using honey instead of sugar. It was perfect for me… I love crust and this was one of my flakiest ever. But Zach prefers filling and found this tart to be too dry. I didn’t do a jam glaze, and probably should have. A tart that pretty was clearly made for showing off, so we took it to our friends’ house and served it with ice cream while the fellas drank short glasses of bourbon, or whiskey, and expounded upon the differences thereof. This cake is SO delicious and light and fluffy, not like many of the other things I’ve made using honey instead of sugar. Zach has been telling me that the reason I haven’t been successful is that I’m trying to do the substitution myself, rather than just looking for recipes that call for honey from the get-go. But for me, baking comes on a whim, and I’m not always up for recipe hunting the moment before I bake. I’m also not a big experimenter: if the recipe fails the first time, I’m unlikely to modify it to try a second time. We have two kinds of local raw honey on hand at home in bulk (and I mean A LOT of honey). One is a golden liquid honey that tastes like commercial clover honey. It is good for using in recipes that have another overpowering flavor, like homemade hot chocolate with cinnamon and cayenne pepper, or my deep dark honey molasses ginger unsnaps, but it is too cloying to use in something like chocolate chip cookies, which was a big failure last week. We purchased the other honey in a 5-gallon bucket last fall at the Downtown Salt Lake Farmer’s Market and it’s solid and creamy tan. It is AMAZING in tea or on hot toast with butter, but it is not easily spreadable and sticks like glue to every measuring cup. This is the honey I used this time, and I will be baking with it in the future (Oiling every spoon or licking my fingers where that fails!). Here is the recipe for this delicious cake. The Jugalbandi blog was recommended by the computer as something I would like to read. It’s the best recommendation I’ve gotten so far! Jai and Bee have a beautiful site with gorgeous photos and an exotic feel. Because I have a well stocked pantry, I didn’t have to shop for anything except a single lemon!